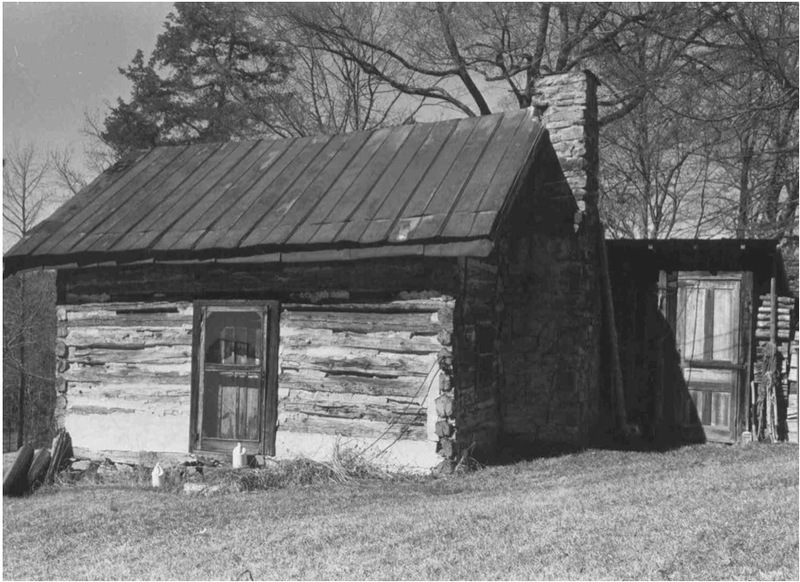 Andrew Jackson Roberts, donor of the land for the Mount Bethel Church in Bahama, was the first known owner of the one-pen, side-gable, hewn-log dwelling with a large fieldstone end chimney that stands on a hill overlooking Lake Michie. Built on a stone foundation, its rugged walls are joined with V-notches and chinked with mud plaster. A batten entry door in the center of the front facade and a single six-over-six window next to the chimney are the only fenestration. A coat of stucco adheres in fragments to the front of the structure and wood shingles from an early roof are exposed where sheet metal roofing is damaged. A wide log- and-frame shed was added in the late nineteenth or early twentieth century.